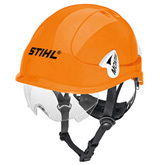 Particularly light safety helmet made of polycarbonate for working in trees and on the ground. Integrated retractable safety glasses, integrated hearing protectors with cord, 4-point chin strap, 6-point inner fittings, headband adjustable by ratchet, reflective sticker. 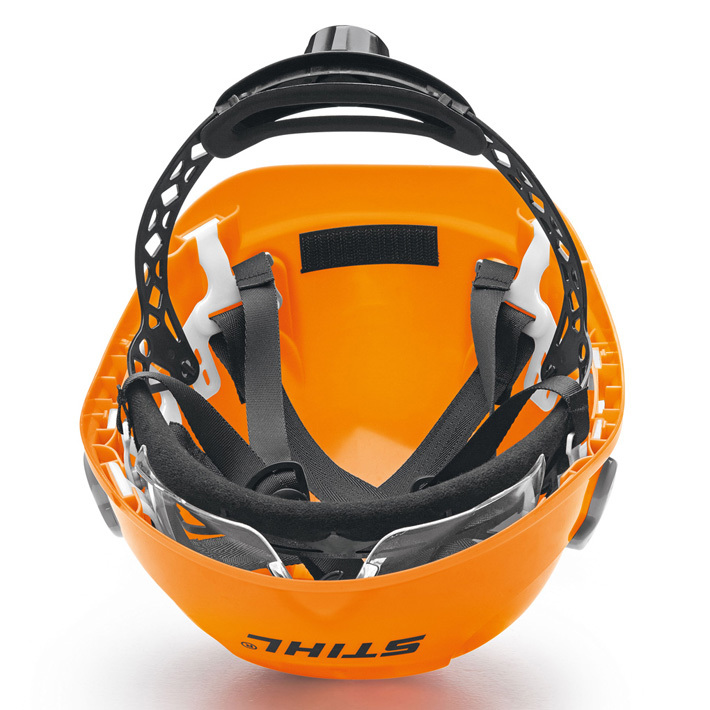 The safety glasses are tested to EN 166, ear plugs to EN 352 and helmet to EN 397.